This brilliant spirally-arranged wax ginger (Tapeinochilos ananassae) was photographed in Hawaii Tropical Botanical Gardens. This flower is found native in Malaysia, Indonesia, New Guinea, and Australia and make for gorgeous long lasting tropical flower arrangements. 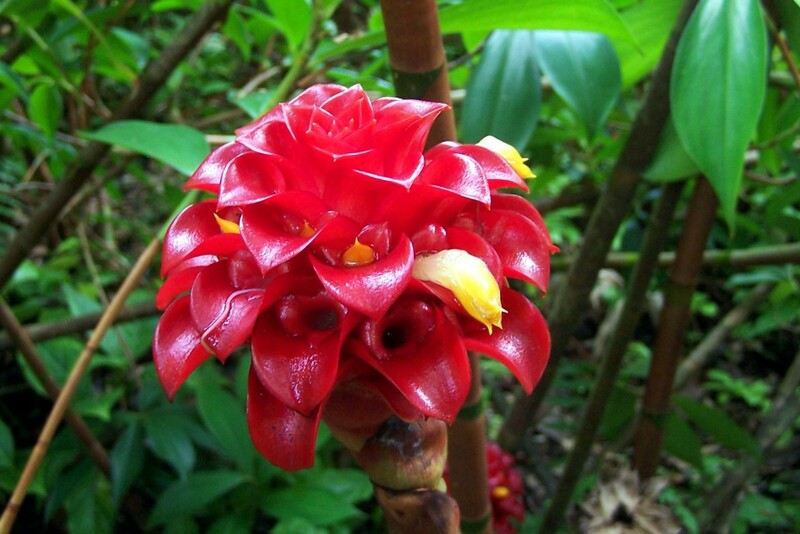 Because of its large, dense form, this wax ginger is also called the pineapple ginger. The deep red and shiny ‘petals’ are actually bracts, while the soft yellow shoots are the actual flowers of the plant.